Horses are very valuable animals, and despite their size and power, are very fragile and can easily injure themselves. Oftentimes the decision on how to address the horse’s injury comes down to what the horse owner can afford. By purchasing an insurance policy for your horse, it can help cover the costs of various options of treatment. But with so many different types of insurance, what do you get? Most people look into basic mortality insurance, as well as, various types of health insurance for their horses. Depending on the company and policy, you may be required to have a veterinary exam for your horse before the coverage applies. The company may also request copies of your horse’s medical records from your veterinarian to be apprised of any pre-existing conditions. Mortality insurance is the most common type of policy held by horse owners. It is generally necessary for horse owners who’ve invested a great deal of money in their equine companion. This insurance covers your loss if your horse dies, and in most cases, if your horse has to be euthanized for humane reasons. But, it’s important to read the fine print! Some policies will cover things like death from digestive disturbances, but not death connected to any type of “neglect” on your part. Participation in certain equine sports may also not be covered. It should be noted that some mortality policies have a clause that will pay a certain amount towards intestinal surgery, should your horse need to have it; however, you must opt for the surgery. If you opt not to have the surgery and euthanize your horse, the mortality policy may be null and void. Major medical/surgical coverage is usually offered as an additional policy in conjunction with mortality insurance. Most companies won’t allow a major medical/surgical policy to be a higher amount than your mortality policy. For example, if you have your horse insured for $5,000 mortality, the maximum amount your major medical/surgical policy can be is $5,000. Major medical/surgical policies cover many different types of emergencies, diagnosis and treatment methods; from a minor lameness to x-rays, ultrasounds or MRI, or possibly even surgery. Again, do your research and read the fine print! If you don’t understand what’s covered vs. not, contact your insurance agent before you perform the procedure. If you need to use your major medical/surgical policy, be aware that re-occurring injuries in that same that area may be excluded from payout in the future. Pre-existing conditions are any injuries or occurrences of illness that your horse has had in the past. Insurance policies will generally exclude pre-existing conditions, but how far back in history they check depends on the company. For example, if your horse had an episode of digestive disturbance two years ago, he very well may not be covered. Elective surgeries, such as castration and surgeries for genetic defects, are usually not covered. Many policies will also exclude some rehabilitation procedures, such as shockwave, whirlpool and treadmill therapy, and alternative therapies, including acupuncture or massage therapy. Dental care is another option that may or may not be covered. A loss of use (or permanent disability) policy comes into play if the horse you have insured comes up sick or injured and can never again be used for the activities you have him insured for. Most of these policies reimburse you a percentage of your horse’s value (usually 60% or less), should he be disabled. There are two types of loss of use coverage, so be aware of which one you are buying. External injury only loss of use: covers horses that have an accident or external injury (i.e. : trailer or fence accident) and become permanently incapable of performing their intended use. Please note that permanent disabilities from concussion-related conditions (i.e. : tendon or ligament injuries) are not covered. Full loss of use: covers horses with disabilities caused by accidents, injuries, illnesses and concussion-related conditions. 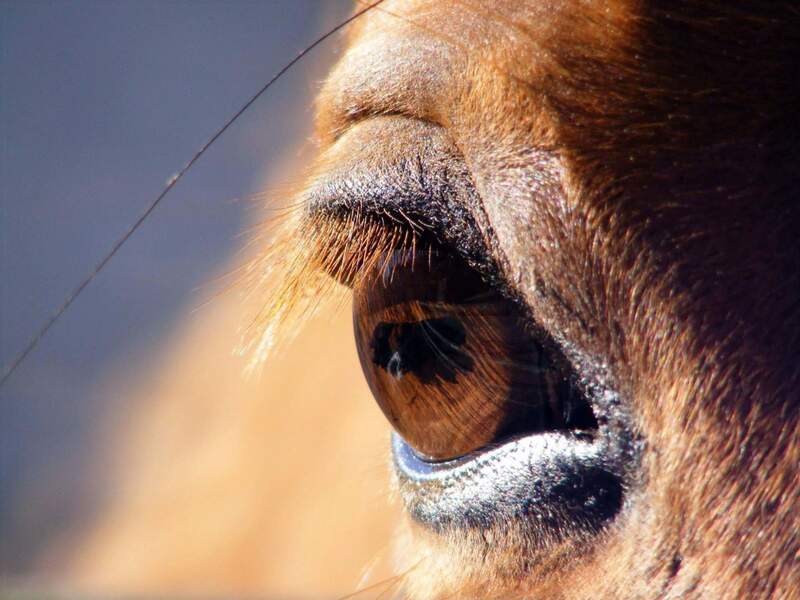 This type of policy does not cover loss of use due to pre-existing conditions, scarring or blemishes (halter horses) or related to racing or breeding. Make room in your budget for routine medical care for your horse. Some policies can be customized to include regular veterinary care, such as vaccinations, but it is unusual and expensive. Instead, look into animal health care credit options. Set aside one of your credit cards just for this purpose or start a horse health care savings account. Policies will be priced differently based on the type of policy, the amount of coverage, the deductible you can cover on your own, and the age of your horse. A higher deductible means a lower annual fee, as does a younger horse. As for that pesky fine print—check if the company cuts off coverage at a certain age. Many companies are reluctant to cover senior horses and foals younger than one month of age. Your coverage may also be limited to the perceived value of your horse. For example, if you purchased your horse for $5,000, the insurance company may limit your coverage to $5,000 and may not extend it to the $10,000 value you had hoped for. You may feel your $2,500 trail horse is priceless, but most companies will only insure a horse for the purchase price. If you put a great deal of training into the horse and have been successful in competitions, you can discuss increasing the value by presenting proof to back your argument. Did you know that in many states, horses are considered “attractive nuisances?” This means you share some liability as a homeowner if you keep your horses on your property. Children are often attracted to horses, so you need to have sturdy fences, post “No Trespassing” or “Keep Out” signs on your property and make sure your homeowner’s insurance covers your horses. If this all starts to sound complicated, don’t despair. A good equine insurance agent can guide you through all the costs, disclaimers and options. You may be able to research companies online and develop quotes for different policies to compare. Looking at multiple companies and at the different policy options can lead you to the best deal for the best price. Good Luck!